Will hawker eats like Hong Kong Soya Sauce Chicken retain a star for the 2017 Michelin Guide Singapore? 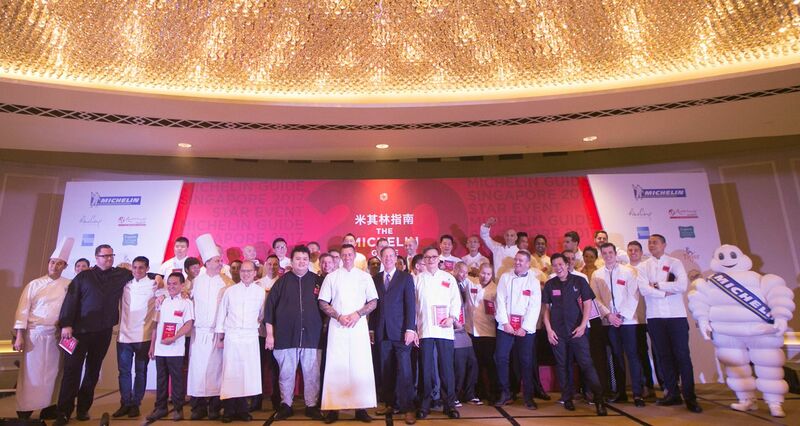 The launch of the Michelin Guide Singapore last year dramatically changed the way diners viewed the local dining landscape. If anything, it sparked a great debate among passionate gourmands (Did the hawker stalls deserve to be reviewed alongside fine dining restaurants? Was Waku Ghin robbed of more stars? ), and it also led to more people wanting to sample their winning cuisines. That said, his deal with Hersing Culinary saw him expanding his brand to include the Liao Fan Hawker Chan on Smith Street. Coincidentally, it is also one of the new entrants to the Bib Gourmand list, which honours eateries that sell delicious food at reasonable prices. So, did his outlet at Chinatown Complex retain its star? Did decorated chef Luke Armstrong, formerly of Gordon Ramsay’s Maze, do enough to keep the star Ivan Brehm helped The Kitchen at Bacchanalia earn before he left? Did Ryan Clift’s winning Tippling Club get a deserving nod? Did other favourites of pundits and avid diners such as Hashida Sushi and Burnt Ends do the same? And did mod-Sin (modern Singapore) cuisine finally make its mark with either Wild Rocket or Labyrinth?